NIA CHARLESTOWN NEVIS — Deputy Premier of Nevis and Minister of Health in the Nevis Island Hon. Mark Brantley came to the defence of health care workers in the island’s Health Care Sector who he said had been subjected to harsh criticism instead of being celebrated for their tireless efforts. 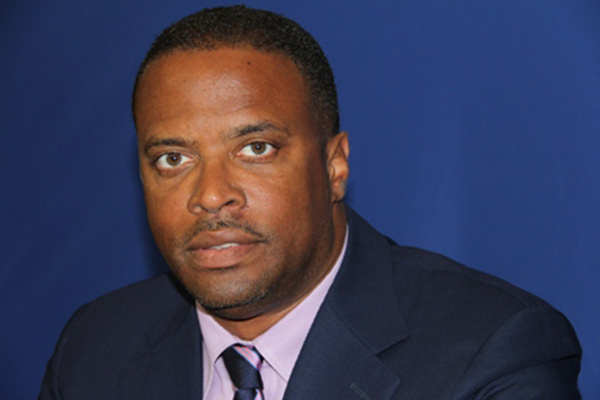 Mr. Brantley’s comment came when he was a guest on Nevis Television’s Inside Government programme aired on April 07, 2014, which focused on the state of health care on Nevis. “I realize that [health care] is a very passionate subject. It’s something that attracts a lot of attention but I think our people sometimes need to drown out the noise and focus on the substance of what we’ve been trying to do. “Health is not something like a bridge or a road or a building that people can see. Indeed some healthcare policies are policies that take time and over the period of time, five, 10 years sometimes in a generation, that’s when you see the benefit. One doesn’t decrease one’s mortality rate over night. These are things that take time and I feel that some of the successes that we have had are perhaps being drowned out in the noise that we are hearing,” he stated. The Health Minister spoke to some of what he termed solid successes that had been made in the island’s health care among them the ongoing work in primary health care, vector control and environmental health. “Those are working and working well. We see the youngsters on the road cleaning the road. We see those who go out to the various sites, the vector control people, those in our community and as I said, they don’t get any fanfare. They don’t get any news item about them but these are the backbone of the healthcare sector. “If we can prevent people from getting sick then we don’t have a problem, so that primary care we have done an amazing job at it and I want to commend all the health care workers on the frontlines who make that possible. We take a lot of that for granted,” he said. Mr. Brantley acknowledged that there were times that things would go wrong due to human error but frowned on the times when health care workers were harshly criticised in political circles. “You know, I know that it’s political and people try to get at me but in trying to get at me, sadly, they have maligned our nurses. They have maligned our doctors. They have maligned our health care workers. They have cursed out the healthcare system [and] they have maligned the hospital facility. They’ve done all of this and they forget that these are people who give service day in day out and people who I feel, ought to be celebrated,” he said.